The game that combines merits of two? Certainly Tequila Poker! Unique in its kind and incredibly breathtaking, it is considerably young amongst the number of similar games. Here you can choose the rules of the game by yourself, focusing exclusively on the situation and your own feelings! 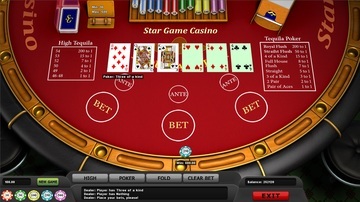 The main point of the game is to collect the highest possible combination, if playing «Tequila Poker», or the highest total of points, if playing «High Tequila». The classic set of 52 cards is used. 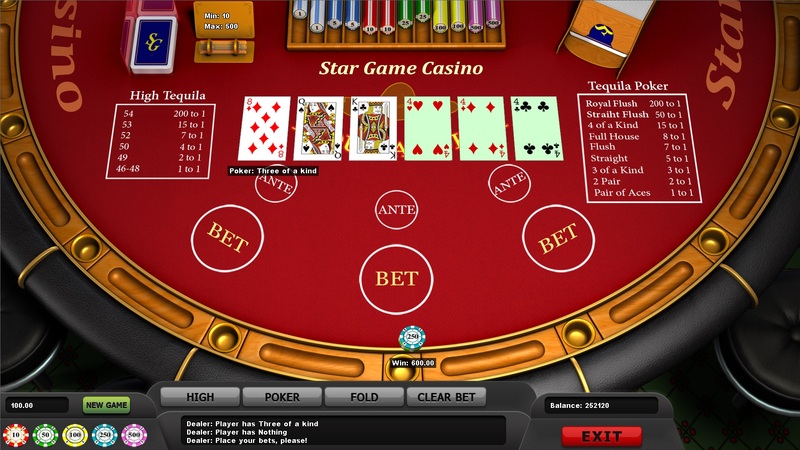 The beginning of the games is traditional for poker: the player is to make an obligatory bet – ante, and after that the dealer deals 4 cards in front of you. Consider the situation carefully. Now you can decide which scheme to follow next: Tequila Poker or High Tequila. The choice of any of the two games means that the bet is doubled. When the decision is made, two more cards are dealt. If playing Tequila Poker, the collected combination consisting of 5 out of 6 cards is valued. 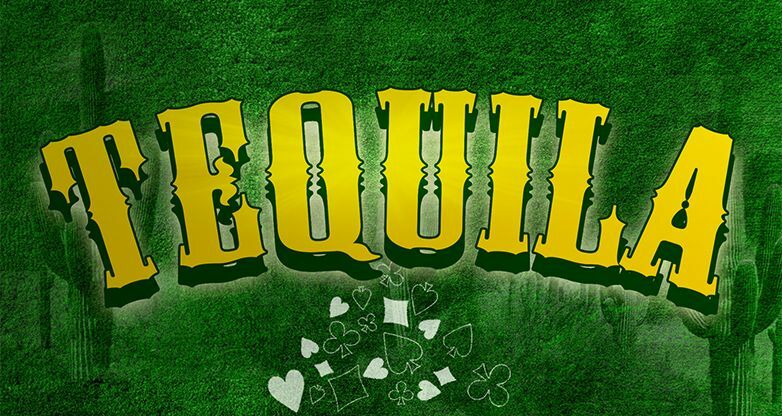 You win if you collect at least two aces. 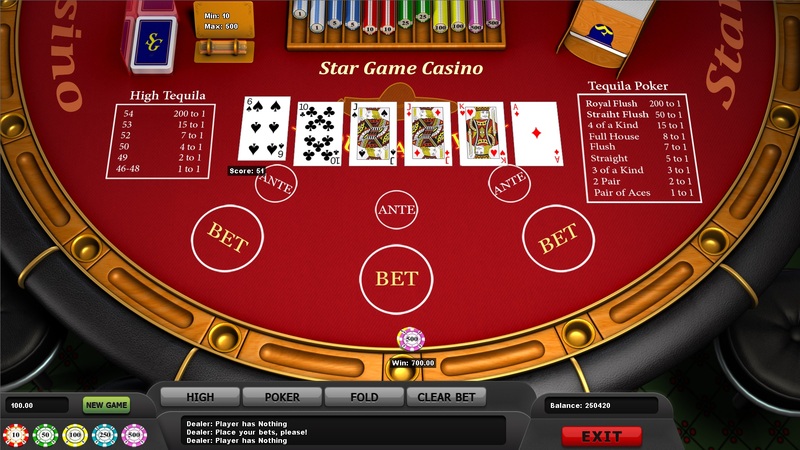 In High Tequila the values of the five highest cards are added together. The higher the score, the larger the prize! Discover this fascinating game by Mainama Games. Luck is in your hands!